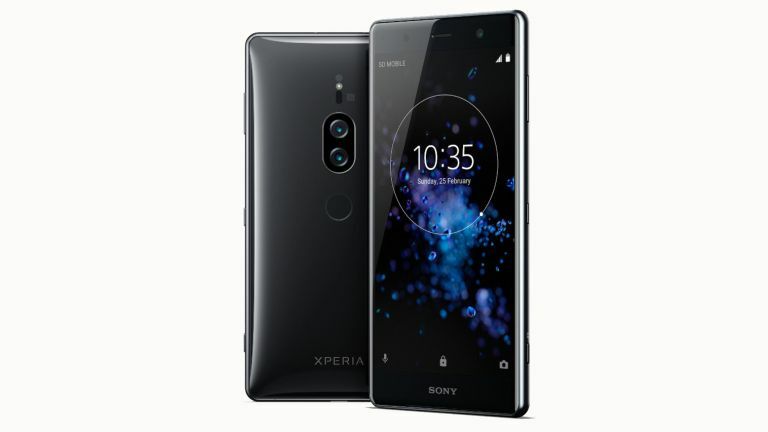 The Sony Xperia XZ2 has only just gone on sale but it's already been surpassed by Sony's latest launch, the Sony Xperia XZ2 Premium, which replaces the XZ Premium. Perhaps in the hope that it can topple the Samsung Galaxy S9, Sony has given its new phone a few upgrades over the XZ2. The XZ2 Premium gets a 4K 5.8-inch screen, which improves on the 5.7-inch Full HD+ (1080 x 2160) display you'll find on the original XZ2. The handset also gets an upgraded battery, too (3,540mAh, up from 3,180mAh) while RAM goes from 4GB to 6GB. On the rear, you'll now find two cameras instead of one, while the front-facing selfie cam is 13 megapixels, up from 5 megapixels. Sony says the new cameras are better in ultra low light, which is a feature that the company has always been keen to promote on its phones. The 'Motion Eye Dual camera system' uses a second black and white sensor to capture additional image data, which Sony says "creates a high quality, low noise image previously never possible on a smartphone". The XZ2 Premium will be available from the middle of the year in Chrome Black and Chrome Silver, but Sony has no plans to sell it in the UK and Ireland, according to TechRadar. "Given the strength of the existing Xperia XZ range, specifically the XZ2, XZ2 Compact, and XZ Premium, there are currently no plans for widespread ranging of the handset in the UK and Ireland," a spokesperson said. Sony did add that it would review this decision when the phone launches elsewhere this summer. The Xperia XZ2 Premium price has not yet been announced. Here are the key differences between the two Xperia XZ2 variants. A full spec rundown can be found on Sony's site.